Traveling to new destinations, experiencing another nation’s culture, and meeting locals are one of the best feelings in the world. But before you get to enjoy all these things, you have to first get through that long-haul flight and more often than not, it’s uncomfortable. You wouldn’t want to experience the nightmare of limited legroom and meal choices that don’t look too appetizing, a comfortable and relaxed trip is an experience every traveler should invest on. This is why flying with a premium airline should be at the top of your priority list for comfort and convenience. 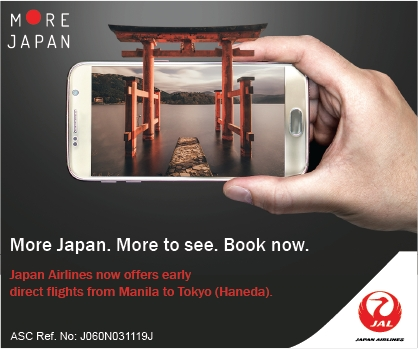 With a premium airline like Japan Airlines, even your Economy Class booking will be bliss. For the most part, flying long-haul flights can be quite uncomfortable. It’s a challenge to get some peace and rest with limited legroom and other passengers too close for comfort. Japan Airlines solves the problem of limited passenger space through JAL Sky Wider flights. These flights feature improved Economy seats which, thanks to expanded seat pitch and slimmer seats, have greater legroom (86cm), and wider space between armrests (48cm). The JAL Sky Suite 787, a Sky Wider flight, has even upgraded to 8 seats per row instead of the generally deployed 9 seats per row. Through this upgrade, every passenger is given more room to be relaxed and get comfortable. Each seat also has a 10.6-inch touch-panel monitor for every passenger’s convenience. You may choose to watch movies or TV shows for a more relaxed flight. And if your gadgets need charging, the seats are also equipped with AC power outlets. The JAL Kitchen Gallery makes your time in the skies more enjoyable and delicious. Not many people are fond of airline food probably due to a personal bad experience in the past. 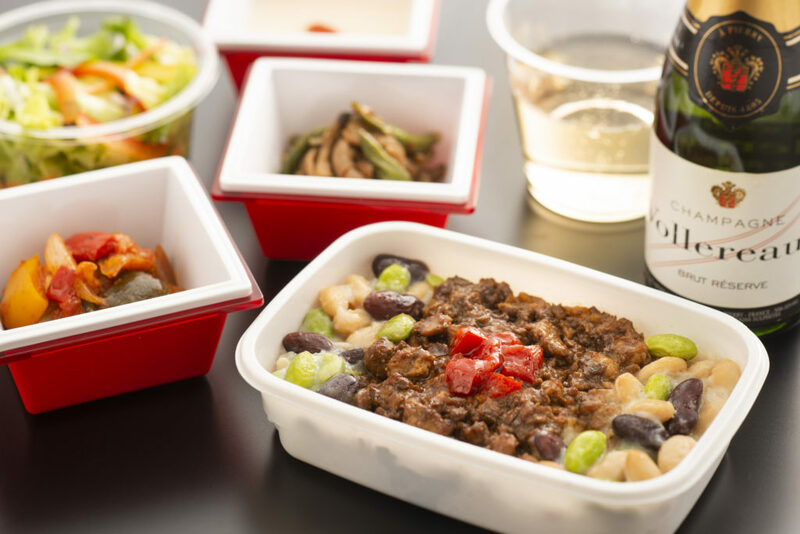 JAL makes sure that passengers get quality meals by offering new in-flight meals designed by 6 young chefs fresh off RED U-35, Japan’s largest culinary competition. 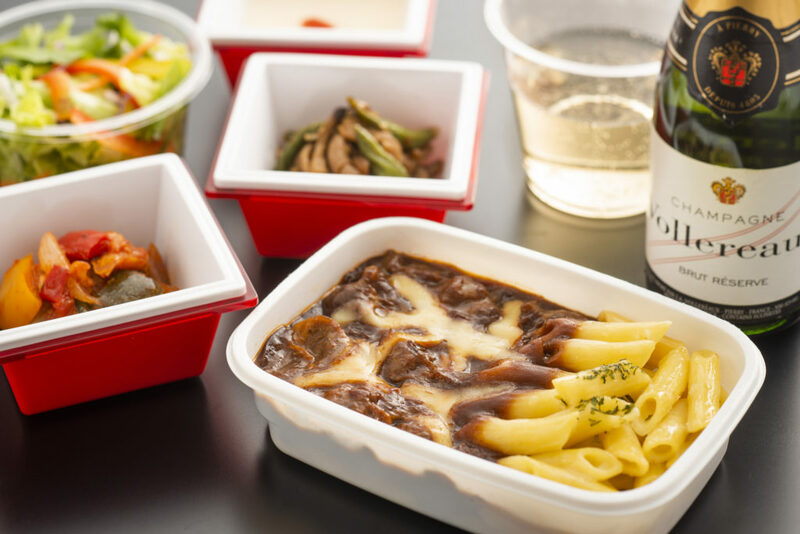 The new in-flight meals are a variety of Japanese, French, Italian and Chinese cuisines. There’s also a special menu for children on board, a menu for vegetarians, for those with allergies who are avoiding certain ingredients, for the health-conscious passengers, and for those with special religious dietary needs. For anybody on an important trip, time is of the essence and flight delays can become quite stressful. Who wouldn’t be stressed if they paid for their flight, possibly to an airport with a connecting flight, and experienced a 3-hour delay? FlightStats, a leader in global flight and airport information services, released their 10th Annual Performance Awards in On-time Excellence. In the Asia-Pacific Major Airlines category, JAL is the most on-time airline with a rating of 84.73%. That means even if you choose a red-eye flight to Japan from Manila, the aircraft will arrive on time, and you’ll still make it to your destination on time. Why explore only one city in Japan when you explore others fuss-free? 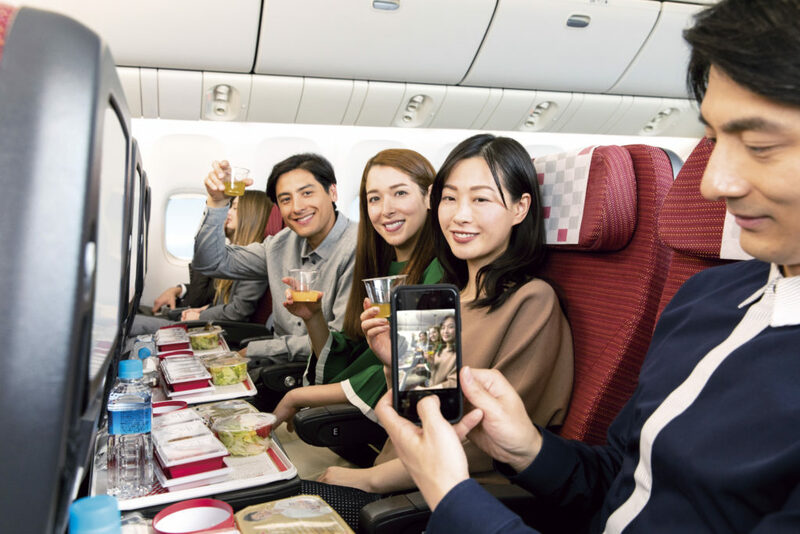 Whether you’re traveling for business or you’re there on vacation, JAL, with its 143 routes and 59 local destinations, provides the most convenient, relaxed, and comfortable travel. JAL grants tourists and locals alike, the power to access destinations in the country from major metropolitan areas to even remote island destinations. Domestic flights are also frequently scheduled so you can easily make the most out of your travel itinerary. The next time you’re headed for the bustling and culture-thriving country of Japan, prioritize your travel and comfort and book your flight through JAL with their Manila to Tokyo via Narita Airport route. This route offers the JAL Sky Wider seat on its afternoon flight where passengers get to enjoy greater legroom and overall space. JAL has also launched its newest route from Manila to Haneda Airport. It’s the only route and the only airline traveling to Japan with a flight time that allows you to land as early as 4:55 AM in Tokyo. The early arrival will allow you to see more of Japan for tourists, and do more for those on a business trip. Do more and see more of Japan with JAL! Visit their official website for more details.